I spend quite a bit of time guiding cycling trips in Europe. As our clients are on holiday, the days there have a flow. A casual start time is typically followed by a leisurely coffee stop. A few more km’s usually signals time for a nice lunch followed by a couple more hours on the bike. More often than not rides finish up at the hotel bar before we all get cleaned up for dinner. Then we come back to our beloved hometown and fall into the pattern of squeezing rides into the few hours we can carve out of our busy days. This habit drives my lovely partner crazy so a few years ago we committed to taking our European holiday theme and living it out as well as we can here at home. These all-day rides are about embracing and truly experiencing what is close to home rather than taking it for granted. So, this is the first of our …I don’t have a name yet …maybe we can call them Cycling Daycations. Plan to start your morning at the Silver Bean Café overlooking the Otonabee River in the heart of town. You may be tempted to eat more but I would suggest a coffee and a scone or muffin, which are both delicious, as you can expect 2nd breakfast just up the road in Lakefield. Going north my suggested route detours off River Road to take in one of my favourite little gravel roads in the whole county. Short and sweet, Hickey Rd is well worth the few extra minutes as it really has a timeless beauty to it. Besides, you might need to build up a little more appetite before stopping in at the Nutty Bean in Lakefield for a classic Café Breakfast. With a full belly, take the back way out of Lakefield on your way up to the Lantern Grill on Stoney Lake. A light lunch up on the terrace is a fantastic way to get yourselves into a cottage country frame of mind. If you are not feeling up to lunch just yet then the bakery downstairs is the place to grab a drink and some baked goodness. 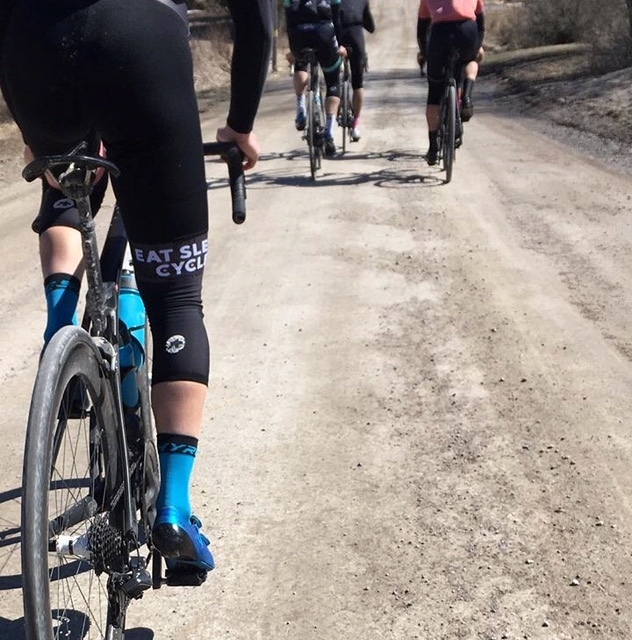 The way home takes riders through Warsaw and Douro on the way back to Peterborough. More importantly, the ride finishes up rolling right past the Ashburnham Alehouse. These folks know a thing or two putting great food and drink in front of hungry cyclists. So, if it is early doing yourself a favour and stop by for a drink. If, however, you have spent this day the way Dee and I did you will be rolling by close enough to dinner time that you can justify sitting down to another meal.